A bike and taxi collision on Friday afternoon in Ottawa, left a biker hospitalised with serious injuries. 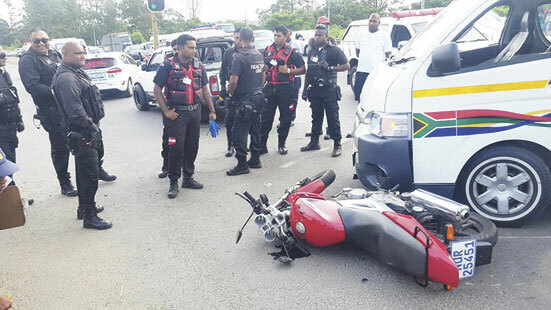 “At approximately 3:15pm, RUSA members were called out to the scene of the collision on the R102 at the Ottawa intersection in Verulam, by passing motorists. 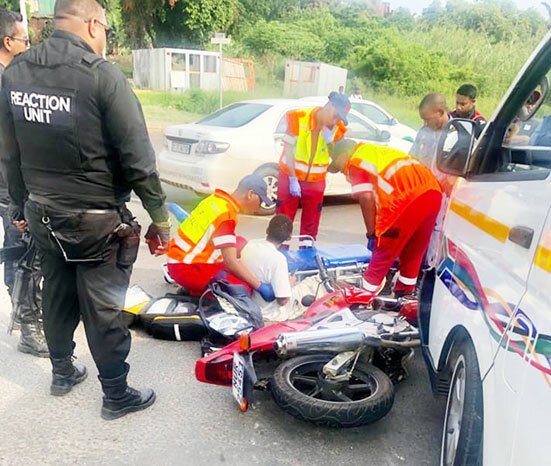 Upon arrival, a biker was found to have sustained injuries to his legs after he was knocked down by a Toyota Quantum taxi. “He was treated for his injuries on scene before being transported to hospital by a private ambulance service. The driver of the taxi who was the only occupant in the vehicle was not injured,” said RUSA head, Prem Balram.